These words from Hall of Fame coach Morgan Wooten, have always given me pause for thought; recently they came back to me in a slightly different way. Back in early May, we held a reunion for my college coach, Bill Bockwitz from Spring Arbor University, for all the players who had played for him in the 1980’s. It was a good turnout of guys from different teams, many of whom, shall we say, looked not quite as they did in their playing days! (As Coach Bockwitz noted, “thank goodness for name tags!”) We had a social time beforehand, shared a meal, then opened the floor to anyone who wanted to share stories, memories or address Coach Bockwitz on their experiences at SAU or even beyond. Having been a college coach for the past 35 years, I have read the above quote from Coach Wooten a number of times and often shared it in handouts or messages to other coaches. But as I sat and listened to some of my former teammates and fellow SAU basketball alumni, I began to realize just to what extent those words ring true. Now, Coach Bockwitz is not a household name; few beyond NAIA (And for those true basketball historians out there, NAIA basketball in the 70’s and 80’s was a bit different than it is today – M.L. Carr, World B. Free, John Drew, Terry Porter, Scottie Pippen…just to name a few!) circles will know him. While SAU did put his name on their playing floor in the Cougar Fieldhouse, not many beyond the scope of Spring Arbor or its varied opponents during his time there will be able to identify him by name or sight. Nonetheless, his impact was HUGE on everyone who ever wore the Cougar blue and gold. Coach Bockwitz was a no-nonsense, highly disciplined coach who valued team play and toughness – not unlike many good coaches before or after. However it was his ability to do what the words of Coach Wooten imply, to be aware of his words as well as their impact, that endeared Coach Bockwitz to so many of his former players. That afternoon, as player after player shared a memory or a moment in time with Coach, and then conveyed its impact, the figurative bell of truth to the above quote rang again and again in my head. We all DID hang on every word (Well, most every word!) Coach Bockwitz said to us; and he certainly did have an influence on us…in a big way! The general theme that day was just how thankful we all were to have played for someone like Coach Bockwitz and how deeply he impacted us not merely as players but as young men. Many guys recalled specific moments and almost exact words that Coach had spoken, years before, that had touched their heart or altered the course of their lives. His words of encouragement, combined with his model of self-discipline, loyalty and Godliness were powerful forces on our lives. We learned, grew, improved, evolved and matured because of our time with him. I was one of the older former players in the room that day, having last played for Coach 35 years earlier, however I could feel the depth of his impact on my life every bit as strong as ever. The day was truly a powerful reminder for a coaching “lifer” that what we do and what we say DOES make a difference. 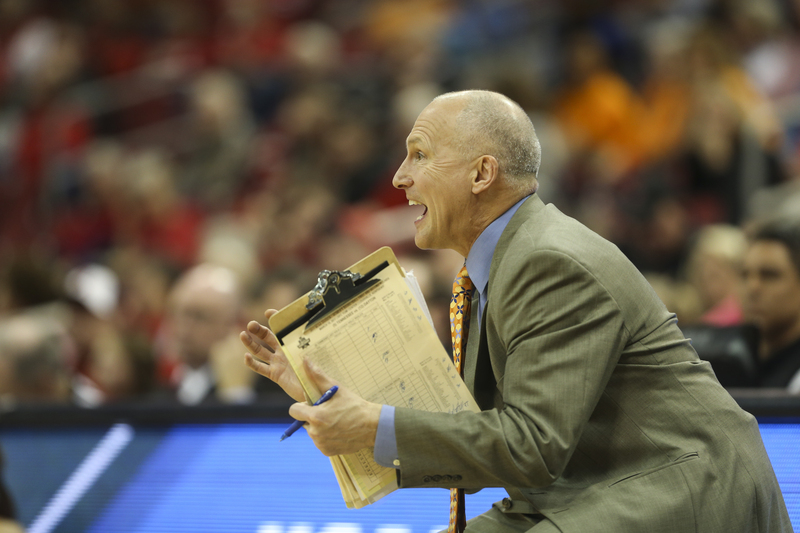 Dean Lockwood has been a member of the Lady Vols Coaching staff since 2004. During that span, Lockwood has helped Tennessee win 7 SEC Tournaments, 5 SEC regular season championships and NCAA Titles in 2007 and 2008.